Yesterday in the SMX Advanced You&A with Matt Cutts, we learned a lot of new things but one of the biggest items that stood out to me was that of how we can know if a penalty was manual vs automated. Google's Matt Cutts made it crystal clear last night. 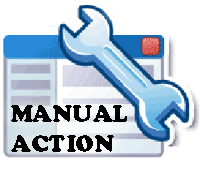 If you get those Google Webmaster Tools notifications or messages, that means you have been hit by a manual penalty done by a person at Google after reviewing your site by hand. Getting one of those messages will not tell you if you were hit by an algorithmic penalty, although that would be nice. It only tells you if you were hit by a penalty done by a Googler after inspecting your site and classifying as not complying with Google's webmaster guidelines. Matt said that 99% of people who are hit with a manual penalty will receive the message now. Compared to several months ago where they did not send out these messages to even close to 99%. Personally, I alway thought it was a mixture of automated and manual messages in webmaster tools. I was wrong and this is good to know.